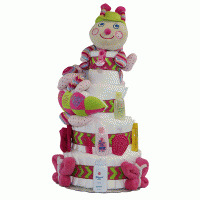 Celebrate the birth of the newborn baby girl with our Sweet Baby Towel Cake! This tasty looking baby gift has all the essential ingredients. 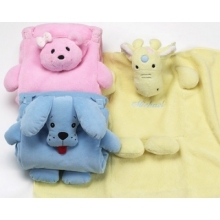 It looks great, it includes quality layette components and it's resonably priced. The cake is made from a lush 100% cotton, woven terry hooded towel, with "Sweet Baby" beautifully embroidered on the hood. 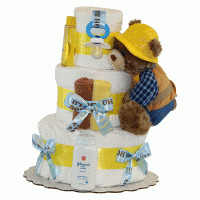 This hooded towel cake is decorated with 4-washcloths, one of which is also embroidered with "Sweet Baby". 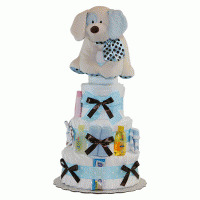 The cake comes packaged in a clear plastic display box to give this unique baby gift an authentic and fun presentation. 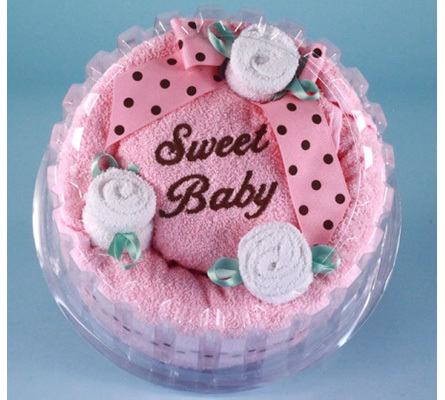 What could be sweeter than a Sweet Baby Towel Cake? Proudly "baked" to order in the USA.